NOSE: Intense vanilla notes, both fresh and melting, combined with the fruity aromas of warm apple pie. 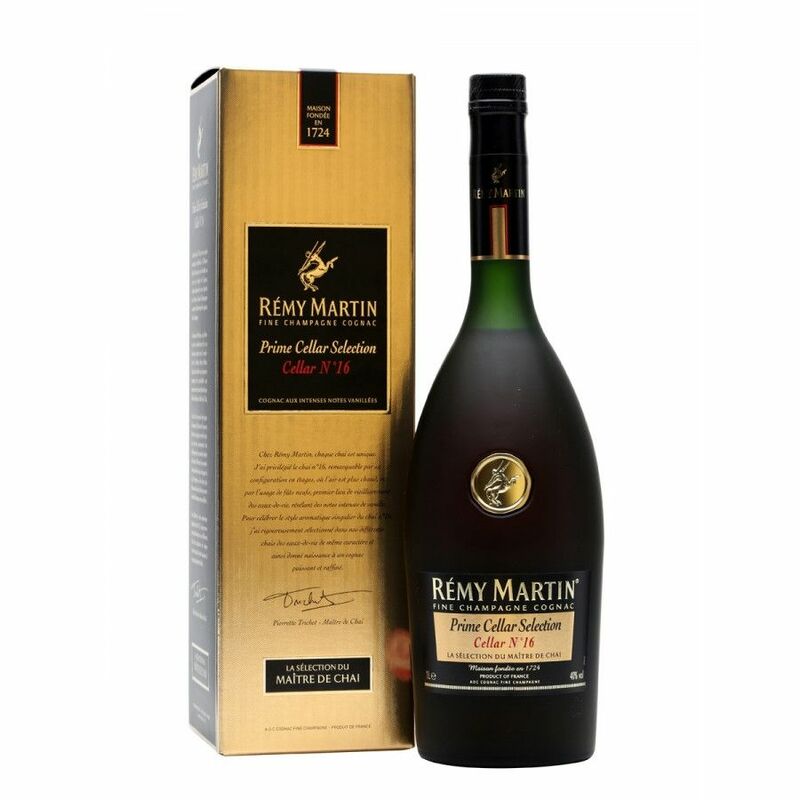 TASTE: Seductive vanilla and fruit flavors with a round, long, and pastry-like finish. 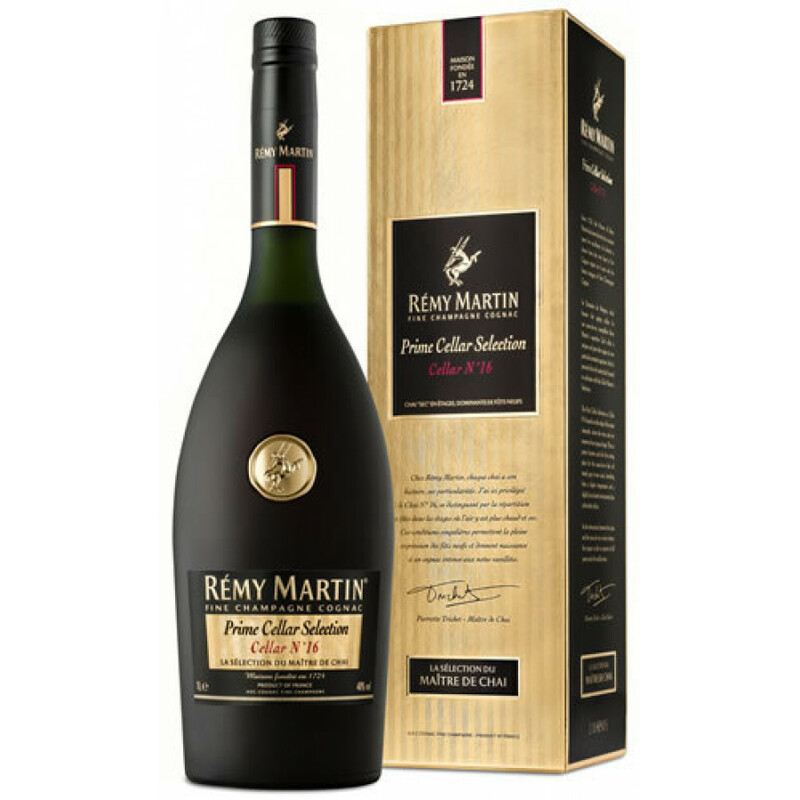 The Remy Martin Prime Cellar Selection No 16 is a Fine Champagne Cognac, a blend of Grande Champagne and Petite Champagne eaux-de-vie. It's a cognac with intense vanilla notes. At Rémy Martin, each cellar is unique. Cellar No.16 is characterised by both its multi-tiered layout with warm air in the higher reaches, and by the predominance of new casks. These casks are in the prime location for ageing, and confer intense vanilla notes to the eaux-de-vie. Cellar No.16 is surrounded by the estate’s vineyards, where the story and very essence of our cognacs begins. The unique aromatic style of Cellar No.16 celebrates the crafting of a powerful and elegant cognac. Soft start with a mellow nose...fills your palate with alternating flavors. Finishes smooth with a satisfying memory.